According to a number of reports from insiders close to the company — including some who have talked to Om and some who have talked to All Things Digital — LinkedIn (s lnkd) is considering an acquisition of Pulse, the news-reading app, for as much as $100 million. At first glance it might seem like an odd pairing: why would a site that is focused on corporate networking want to buy a content-recommendation app? But as the world of content continues to evolve, such a combination actually makes a lot of sense. Pulse is one of a number of news-recommendation apps that try to apply algorithms and other filters to suggest content to users — a group that includes Zite (which was acquired by CNN in 2011) as well as News360, Flipboard and Prismatic. Pulse was one of the first to make a big splash, in part because Apple founder Steve Jobs mentioned it on stage during the launch of the original iPad, and also because the New York Times accused the company of copyright infringement for aggregating its content. Since its launch, Pulse has grown to the point where it has about 20 million users, but it’s still seen by many as a runner-up to Flipboard in the news-recommendation market, so an acquisition in the $100-million range would likely make sense for the company and its backers. For LinkedIn, meanwhile, the purchase of a service that aggregates and recommends content from a wide variety of news sources would be an interesting extension of its recent moves to bulk up the media side of its business. When the company first launched its LinkedIn Today service — which aggregated news based on which links were shared within a user’s network of contacts — it seemed to some (including me) like a side project designed to primarily to drive traffic to the site, which was mostly being used as a place to store a resume or connect with potential employers. 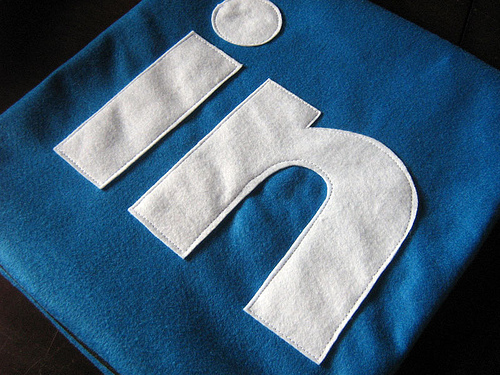 So what could LinkedIn do with something like Pulse? Peter Kafka of All Things Digital has one idea, based on a video that Dan Roth made for a Fortune app that had LinkedIn integration — so that users could see who they were connected to at a specific company that was mentioned in the news. But while this might be useful to some, it seems a lot less interesting than using it as a kind of extension of LinkedIn Today: in other words, a way of recommending content that would target users based on their interests. As we’ve tried to explain a number of times, this kind of “interest graph” targeting is the holy grail for both content companies and social networks. It’s the reason why Facebook is constantly tweaking its news feed, and why Twitter is pouring resources into improving recommendation filters like its Discover tab and other features — and why Google is trying so hard to get people to share and “plus one” more content through its Google+ network. If there’s one overwhelming reality of the digital age, it’s that we are all to some extent drowning in content from an ever-growing range of sources, and we all spend an increasing amount of time trying to filter out the noise and find the signal. LinkedIn has a large and growing graph of the social-network connections between people based on their work — a graph some believe could make the company an acquisition for someone like Bloomberg — and that could potentially be very valuable for users. So a LinkedIn-Pulse combination might start as a version of the app that functions almost exactly like the current version, but also tracks content shared by a user’s business-related graph from LinkedIn, and then grows into a larger service incorporated into the site itself. And data from such a service would likely also be very interesting to Pulse partners like the Wall Street Journal, who use the app as a secondary method of distribution and subscription revenue. And if such a deal does end up happening, of course, a LinkedIn purchase of Pulse would be just another example of a non-media company (i.e. Facebook, Twitter, etc.) establishing a powerful foothold in an area of the business that has traditionally belonged to newspapers and magazines. Disclosure: Automattic, the developer of WordPress, is backed by True Ventures, a venture capital firm that is an investor in the parent company of this blog, Giga Omni Media. Om Malik, founder of Giga Omni Media, is also a venture partner at True. So a LinkedIn-Pulse combination might start as a version of the app that functions almost exactly like the current version, but also tracks content shared by a userâ€™s business-related graph from LinkedIn, and then grows into a larger service incorporated into the site itself. And data from such a service would likely also be very interesting to Pulse partners like the Wall Street Journal, who use the app as a secondary method of distribution and subscription revenue. Where this gets really interesting is in collecting information on what a LinkedIn user clicks on, which enriches the data that the site manages about each user. Beyond the resume and contacts, data on what news stories we care most about provides a constantly-updating stream of data that can be used by LinkedIn and marketers to better target content. It becomes a virtuous cycle of increasingly refined data. There is an enormous value to starting with user data and serving content, the opposite of what most media outlets are doing.